As early as the first century, the warm monsoon winds created ideal sailing conditions for ancient ships that set off from Portugal, the Persian Gulf region and Asia. Where present-day Zanzibar now stands, the traders took refuge. As early as the year AD60, a ship travel guide was created for the scores of traders and fishermen that descended upon this East African port. Zanzibar became a hub of trading exotic wares. Porcelain, silk and tools made their way across the seas. From the Middle East came the spices; which Zanzibar is famous for even today; notably cloves and saffron. Passengers who experience Rovos Rail’s luxury train travel will discover that Zanzibar still functions as it did over 2000 years ago; as the point where Europe, Asia and the Middle East met to form an island that has a unique character all its own. Stone Town, the city’s capital and a UNESCO World Heritage Site, is a treasure trove of history and culture. 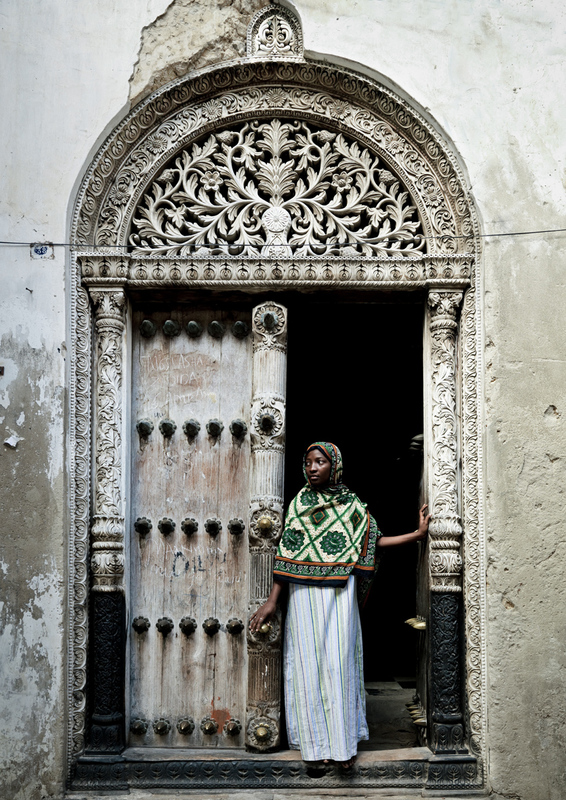 It was created in the 1830s when the Sultan of Oman moved his capital from Muscat to Zanzibar, resulting in Stone Town. The architecture is a stunning testament to the Middle East and the South East. The buildings are mainly made of coral stone, giving them a reddish colour; hence “Stone Town.” Some have rounded rooftops in the Indian style while others have Omani-Arab rectangular roofs. Inscriptions from the Qur’an adorn walls alongside craved lotus flowers; an Indian sign of prosperity. 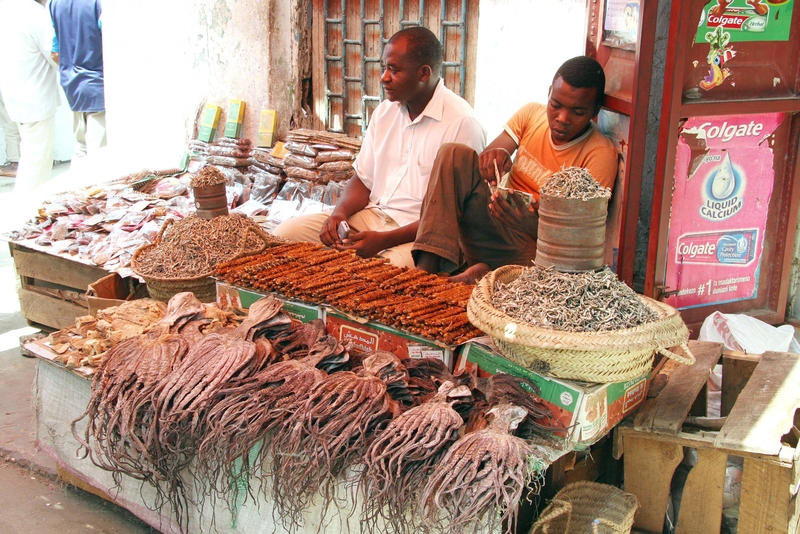 While Zanzibar was made famous by spices, their slave trade was just as lucrative. The Cathedral Church of Christ was founded by missionaries in 1873 where the slave market once operated. 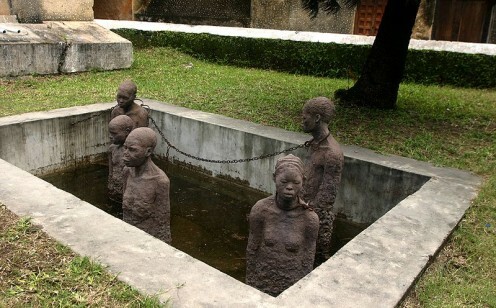 Next to the impressive church is a memorial sculpture of slaves chained in a pit; a stark reminder of the island and Africa’s slave trade and their tragic fates. In addition to the cathedral, Stone Town has several historical buildings tourists can visit. The House of Wonders is a stop for most visitors. It was built in 1883 for Barghan Bin Said, second sultan of Zanzibar. Celebrating modernity, the palace was a wonder as it was the first building to have electricity. It was the first building in East Africa to have an elevator. Today it is used as a museum for Zanzabari, East African and Swahili culture. The Hamamni Persian Baths were built around 1870 for Sultan Bin Said. They were used as baths until 1920 and hamamni translates as ‘place of baths.’ The building was complex in design including hot and cold baths, showers, shaving areas and a restaurant. The Sultan’s Palace, or Beit el-Sahel, is a three-store palace alongside the water and next to the House of Wonders. It was built for the Sutlan’s family. Now it is used as a museum for the former Zanzibar royal family and houses many of former Princess Sayyida Salme’s personal effects. One can access these monuments by strolling through the alleys (some are too small for cars), hiring a bicycle or motorbike or hopping on a dala dala; the name for the Zanzabari minibus taxis. These are best as you can hop on and off at any time. In between the ornate doorways, halls and mosques, the island is alive with activity. In the narrow alleys, locals harass you with their latest bargain tours and trips. The bazaars and market places are heady with the aroma of saffron, which is made on the island, and the colours of woven textiles and stalls. The Darajani Market is the most well-known. It is a typically Middle Eastern casbah as the stalls wind and twist to form a maze. Wares on offer include Maasai beaded jewellery, cotton kangas (wraps) and raffia-woven baskets. Around you, the language is a mix of Swahili and Arabic, with the locals dressed in vibrant colourful kurtas as they play bao; an intricate game of tactical observation where one moves 64 seed pods on a board of 32 bowls. One of the most popular exports of Zanzibar is spices, hence the nickname, “the Spice Island.” Zanzibar is the largest exporter of cloves in the world and also grows and exports cinnamon, pepper, ginger and vanilla to name a few. The history of spices in Zanzibar stretches back to as early as the first century when the island was used as trader port for merchants from the Middle East, Asia and, later, Europe. In the 16th century, Portuguese merchants and traders introduced spice plants taken from their colonies in South America and India. The Portuguese aimed to set up Zanzibar as a major trading point and rest stop along the spice route, which largely failed. The Omani Arabs arrived in Zanzibar in the early 19th century to assess the island’s profitability. They came to the conclusion that the hot climate and regular rainfall were ideal conditions in which to grow and cultivate spice farms. The first sultan of Zanzibar, Sultan Seyyid Said, led the development of Zanzibar into a spice-growing island. Once the slave trade was outlawed in the late 19th century, spices became the islands primary source of income. Once the British took over governing Zanzibar, spice farming continued to be supported with the addition of government farms in Kizimbani and Kidichi. Today, 15 spice and fruit farms remain at there. There are many guided spice tours through these regions where tourists can walk through the farms and learn about the significance of spices to Zanzibar’s history and culture. During the spice tours, guests are allowed to see how and where the spices grow, how many different kinds there are and have the opportunity to smell, taste and touch them. The guide explains how the spices are used in traditional Zanzibari dishes and how many of the spices are used for medical and cosmetic purposes. Many visitors agree no trip to this tropical, culturally rich island is complete without a spice tour to invigorate the senses and understand just how important they are to everyday Zanzibari life. When one is in Zanzibar, the coastline is a scenic wonder. Here one feels the serenity of the East as the same wind that pushed Zanzibar into existence caresses your face. At the port, the fish market is a strong-smelling bustle of boats and fishermen just as it was many centuries ago. From the port, dhow trips are available so you can witness the golden sunset over Stone Town from the brilliant blue waters.